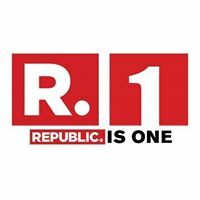 News TV Channel / Republic TV is an Indian English-language news television channel.It is owned by Bharatiya Janata Party member of parliament Rajeev Chandrasekhar and former Times Now Editor-in-Chief Arnab Goswami. It was launched on 6 May 2017 and broadcasts from its studios in Mumbai and Bangalore. The channel was subject to criticism by certain sections of the media which accused it of biased, opinionated and judgmental reporting. Some also called out its style of reporting "loud" and "noisy".